I want you to be the best you possible, which means you must get enough sleep, as well as eat the right food, move your body and think the right thoughts. Without one of these in place, you’ll suffer, and you really don’t need to be suffering! This is why I made the FREE guided meditation called Sleep Easily Meditation. 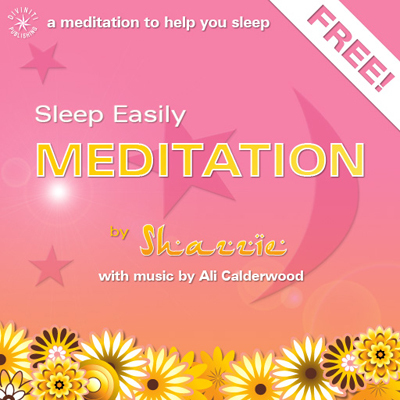 Sleep Easily Meditation has already been downloaded around 400,000 times, and is one of the world’s best natural ways to get to sleep. Unlike dangerous pharmaceutical drugs (which can cause death… heck you might be tired but you’re not THAT tired! ), Sleep Easily Meditation is 100% safe when used as instructed. So now, you will be able to go to sleep in minutes, and be programmed with positive thoughts as you drift soundly off. You can download the guided meditation right now from your app store if you have an iPhone or Android phone. PS: I’ve put together an awesome free trial of my life mastery club, Shazzie’s VIP Room, so every day can feel like a dream come true! Just sign up here and take the tour of love.